I am a general contractor doing a fuel tank replacement project for our county. In the specifications there is a spec for a UL 142 tank, on the plans the spec references UL 2085 – a much more expensive tank. My subcontractor bid the UL 142 tank. The specifications state that the specs and plans are on the same level of precedence. The county wants me to furnish the more expensive tank without compensation citing the clause that states the plans and specs are complementary and what is called for by one is binding as if called by all and the most stringent requirement will apply. My position is the word “stringent” according to Websters means “rigidly controlled, enforced, strict, severe.” The two specifications are written by Underwriter’s Laboratory and precisely decribe each type of tank clearly and without ambiguity for the purpose of rigidly controlling the qualities of the product. Consequently the two specifications are equally stringent. Stringent does not mean more expensive or what the pre-bid intent of the owner. Is this sound reasoning, does it fall under Spearin and is there another defense I should take? What Dave is experiencing is a poorly-constructed contract. Obviously, the goal in a set of construction documents is to not have any conflicts. However, between specifications, drawings, shop drawings, contract language, addendum, and change orders, the goal of absolute consistency in contract documents is impossible extremely hard to meet. The usual way around this very likely problem is to state the order of precedence of the various contract and construction documents, so that in the event of a conflict between two provisions, everyone knows which one prevails. In the absence of any contract language stating the order of precedence, the parties are forced to argue contract law principles such as mutual mistake, which party is considered the contract drafter (and hence, disfavored), and other technical legal issues that numb the mind are only exciting to those of us crazy enough to go into the legal profession. Sure, you can have wine without cheese, but why would you? The two should go together, in the same way that an order of precedence clause should go with any construction contract. Dan has also raised the issue of “more stringent” requirements. In general, when a contract contains instructions that are susceptible to two or more reasonable interpretations, these are considered “ambiguities”. There is generally a duty on the contractor to point out conflicts between the documents. However, where a conflict between the documents is not noticed by any party prior to the bidding, the plans arguably are defective under the Spearin doctrine. So, back to Dan’s question. Dan– your situation is a mess! I agree that your reasoning on the stringent requirements is sound; whether or not a Court will agree with your position remains to be determined. Time to hire a good construction lawyer in your jurisdiction to negotiate a resolution to your situation! (I see that you are in Arizona. If you don’t have a lawyer, let me know and I’ll try to get you a recommendation or two). Have you ever encountered a contract like Dan’s? Did it cause any problems with conflicting documents later on? How did you handle the situation? 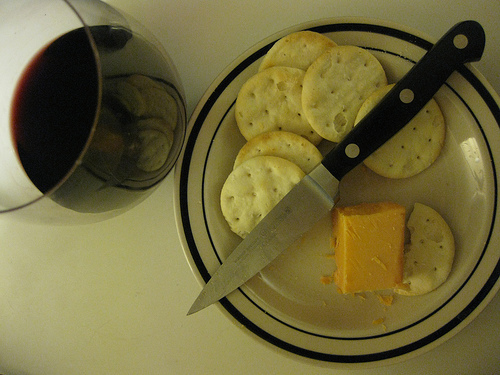 Photo: 054/365: Wine, cheese and crackers via Addison Berry/Creative Commons license. As a professional the GC should have reviewed the plans thoroughly during the bid administration process which allows for requests for information to address such issues. (since it is a public project) Given that it is a “fuel tank replacement project” the main item would be ……….you guessed it the fuel tank type, yes? Not much to arbitrate here. Agree? You are correct that the GC has an obligation to review the plans thoroughly during the bid administration. Not sure whether a GC should reasonably expect two completely different tanks to be specified, though. Clearly the plans as such are defective, but the GC should have noted the discrepancy as well. The answer may depend in part on whether or not the jurisdiction has contributory negligence or comparative negligence of the parties. If, however, the GC bid it based on the less expensive tank, but the owner needs the more expensive tank, a betterment argument could be made if it was a mutual mistake all around. Usually the GCs should order the documents and the written specification rules over the drawings. My interpretation follows that the notes on the drawings are trumped by the specifications. On another note, why would Spearin apply at all? Spearin addresses the factual accuracy of the government’s information. Both tanks are factually accurate, they just conflict with each other, no? You are correct that the documents should be ordered. It doesn’t really matter by whom, but a clear order should be established. While written specifications often (usually) do rule over drawings, they don’t necessarily have to do so. Here, the contract apparently states that they are equally important, which makes the situation a mess. Conflicting information in the documents could be a design error (hence the Spearin doctrine). The contractor has additional costs now of the more expensive tank because of the conflict. If the contract did not have the conflicting tank information, then the contractor would have gotten a quote that included the more expensive tank. There is a betterment argument, in that it would have cost more all along to have the more expensive tank, and the owner should pay for that. However, when a change occurs during construction phase it usually is more expensive, and that extra percentage is something that would be considered damages.